Here are photos of blocks framed with simple sashing. 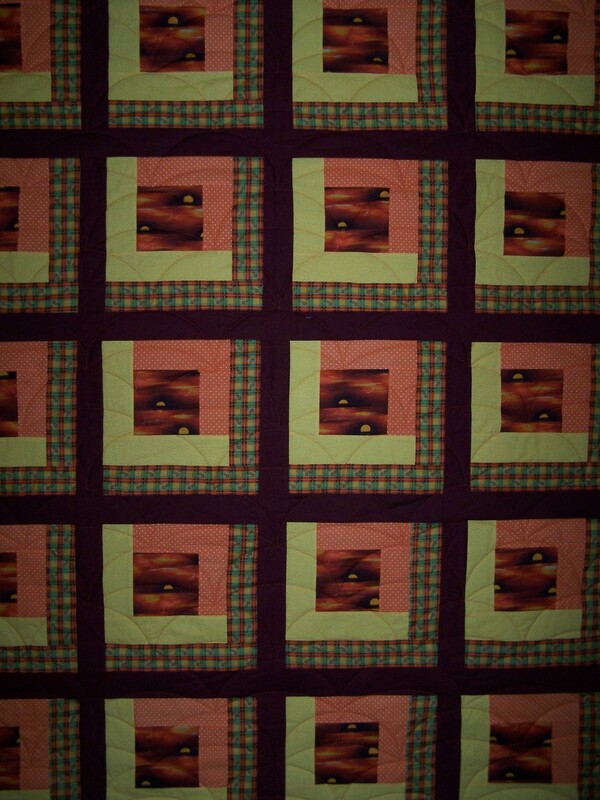 Aren’t the colors awesome in this quilt! 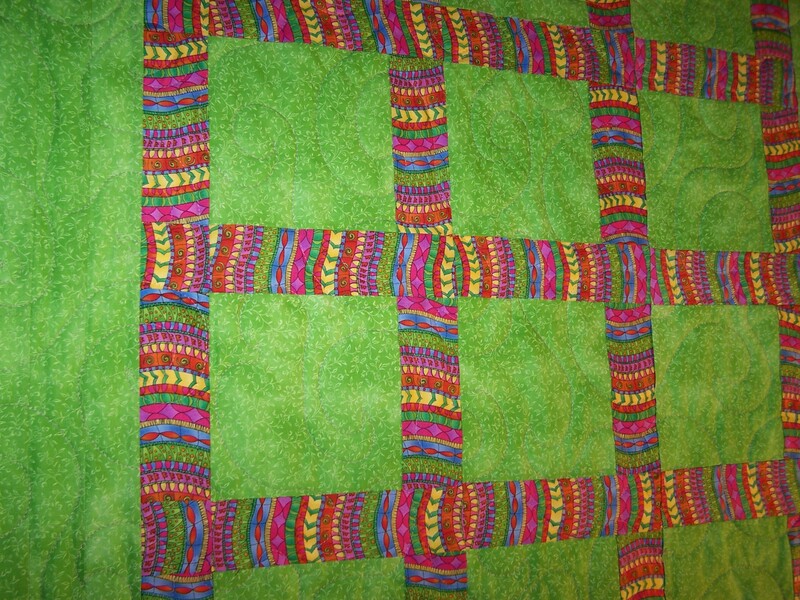 Multi-color sashing around bright great fabric squares. 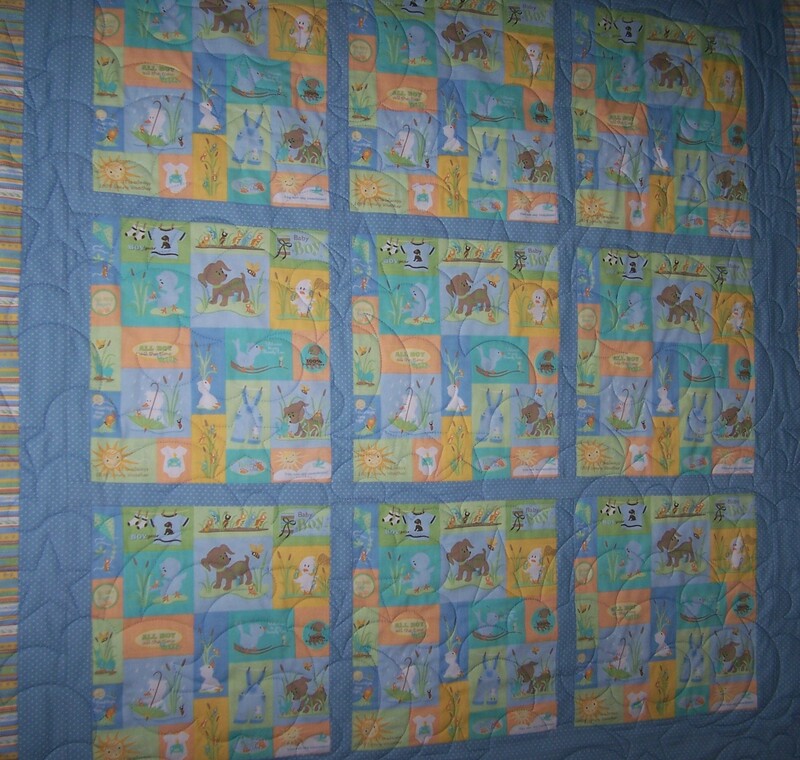 This is a little boy’s quilt that has solid blue sashing around great squares of fabric. This one has burgundy sashing around a log cabin block. 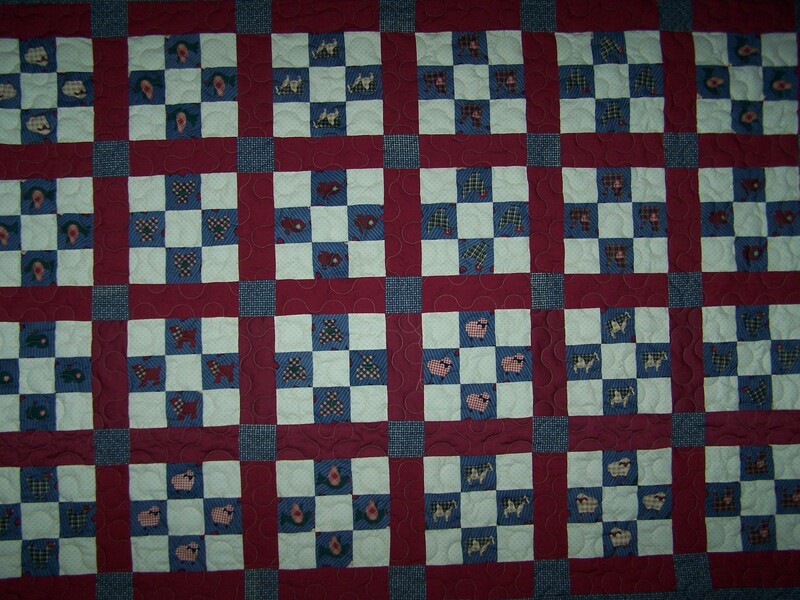 This one has burgundy sashing with blue cornerstone around a 9patch blue and white block.